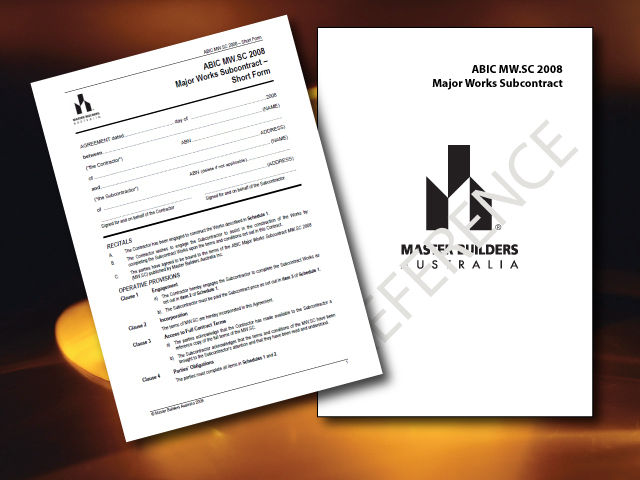 ARE YOU A MEMBER OF MASTER BUILDERS? You must login to receive discounts on contract purchases. Architect-administered head contract for very small projects or projects involving a single trade/product standard. As a guide – for projects up to about $100,000. 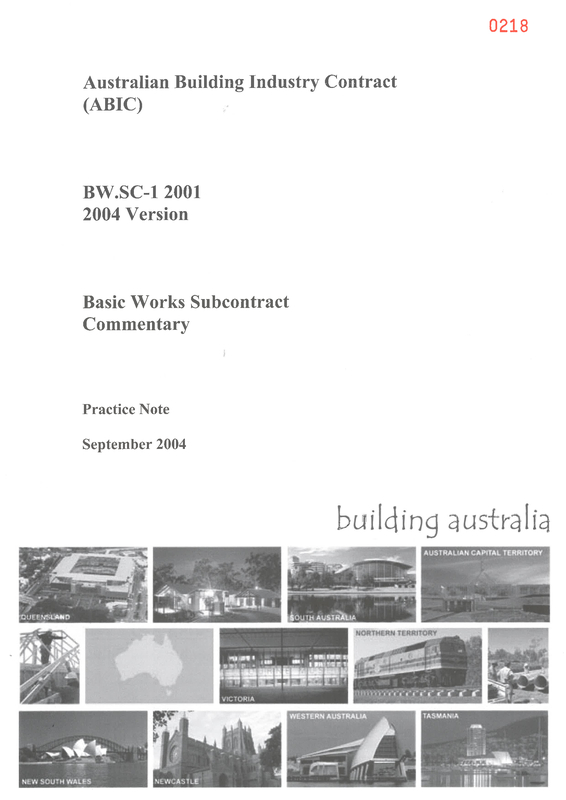 Companion subcontract for the ABIC BW-1 2002 Basic Works Contract. Sets out the obligations of subcontractors engaged by the builder to perform work on very small projects. Single copy of ABIC BW-1 2018 Basic Works Contract for reference or study purposes. For use in completing preliminary work such as demolition or site works before the main building gets under way. 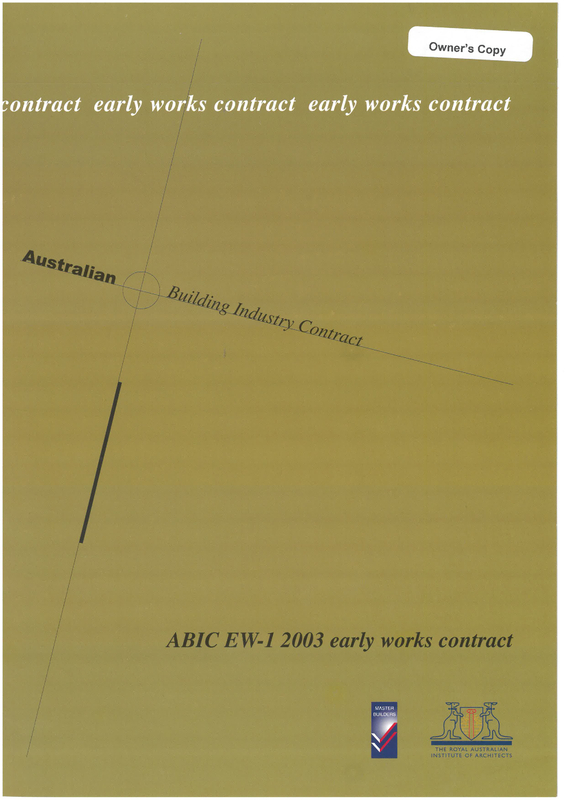 Single copy of ABIC EW-1 2003 Early Works Contract for reference or study purposes. 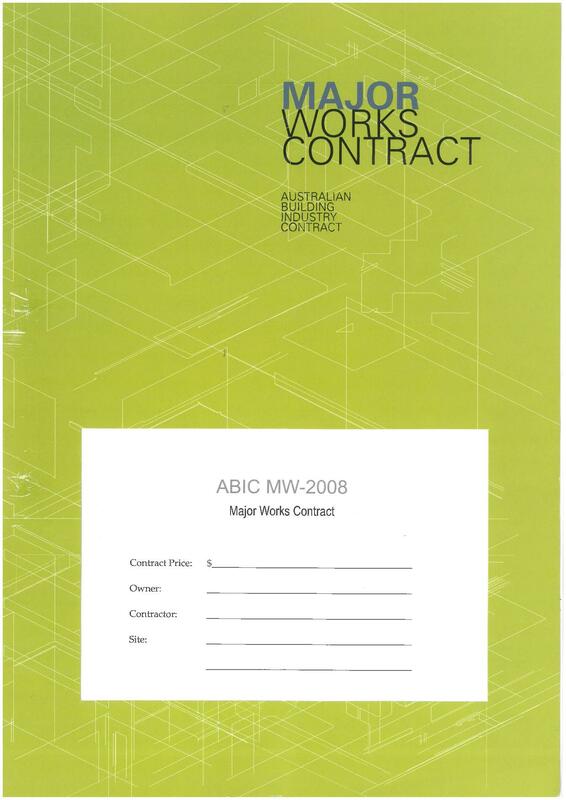 Comprehensive set of forms for use in administration of ABIC MW-2008 Major Works Contract. 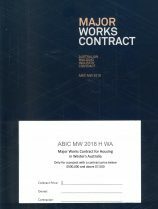 This is the latest issue of the ABIC Major Works contract, launched in 2018, and can only be used for housing projects. 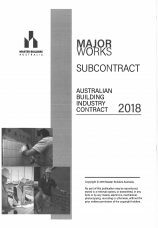 Under the Home Building Contracts Act 1991 (HBCA), projects for home building work with a contract price between $7,500 and $500,000, must use a compliant form of contract, such as the MW 2018 H WA. 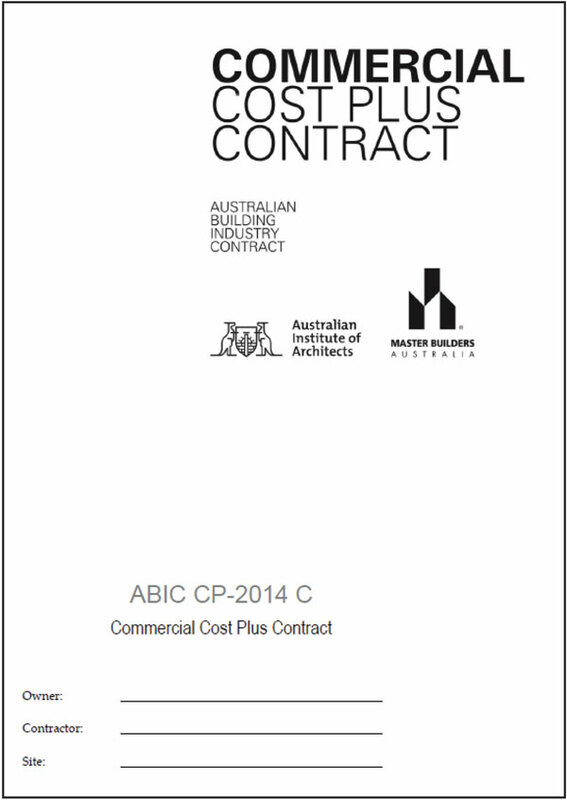 If your residential project has a contract price in excess of $500,000, you could use the standard ABIC MW 2018 contract. The MW contract should be selected to suit each individual project, taking account of its complexity, value and any specific project issues or requirements. 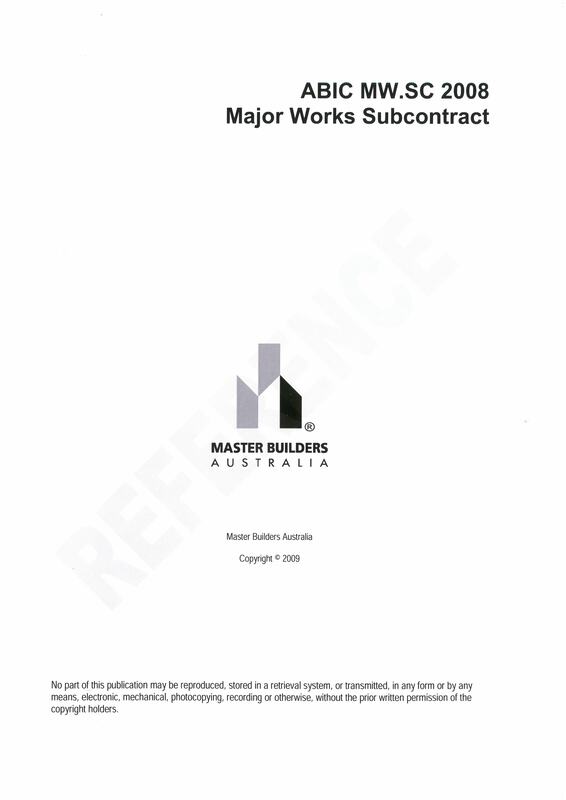 This pack contains 20 short form subcontracts for use with the ABIC MW 2008 Principal Contract; 1 full copy of the subcontract, for reference; and 1 time bar guide that lists most of the critical timing issues that subcontractors need to take into account. 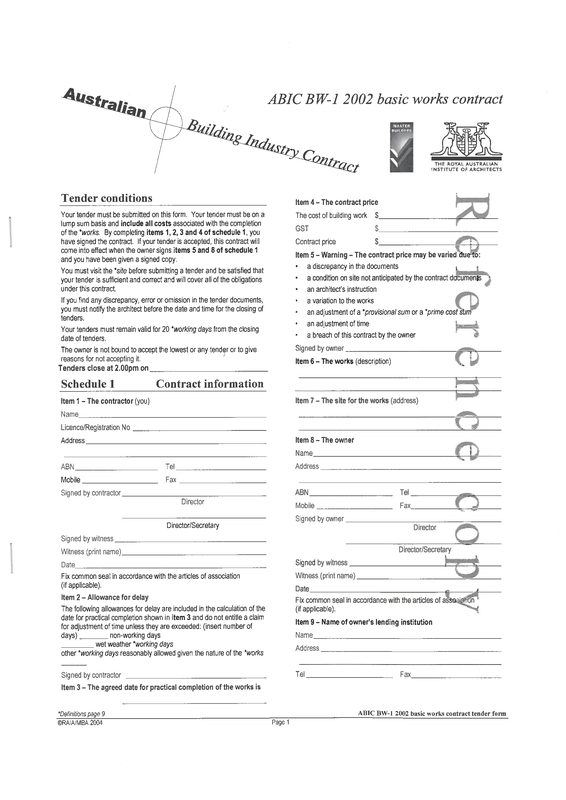 The pack will enable contractors to enter into subcontracts with up to 20 subcontractors in a single form contract, whilst having available to them a full copy of the ABIC MW.SC 2008. Architect-administered head contract for medium to large projects and projects involving work to be completed in stages. As a guide – for projects over $5 million. 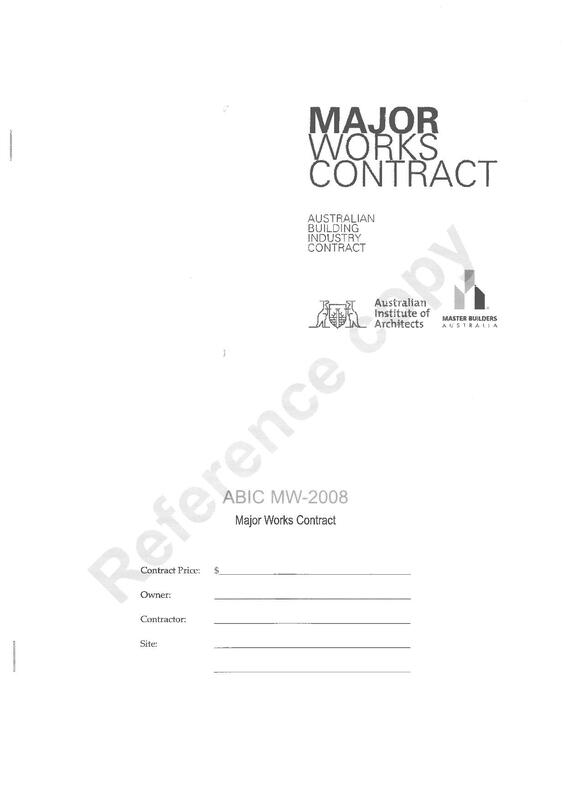 Single copy of ABIC MW-2018 Major Works Contract for reference or study purposes. 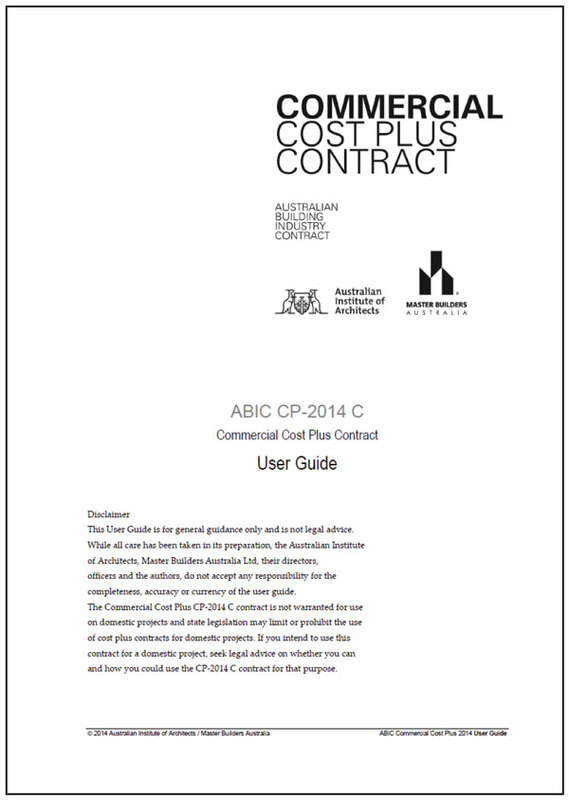 The Australian Building Industry Contract (ABIC) suite of documents has now been marketed for seven years. The contract is regularly reviewed. 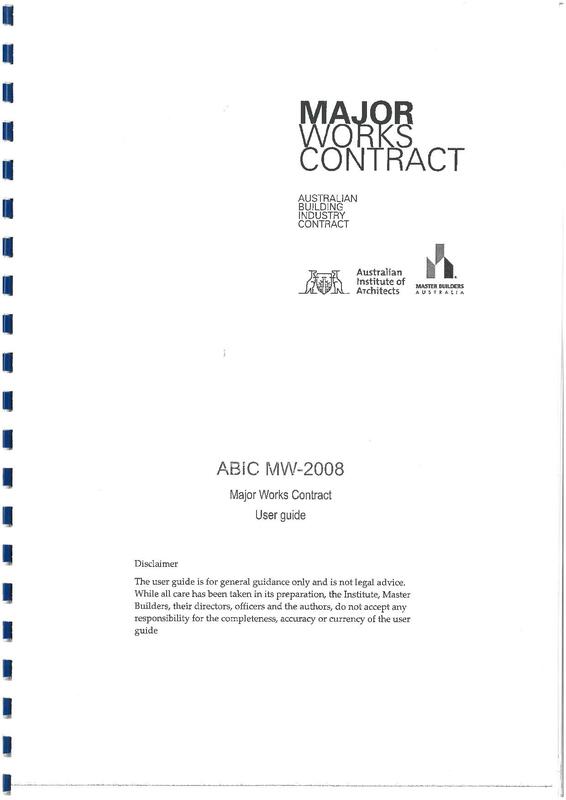 This document sets out the changes made by the ABIC joint venture to the main contract during 2007 and 2008, marketed as the 2008 version of the Major Works Contract MW-2008. 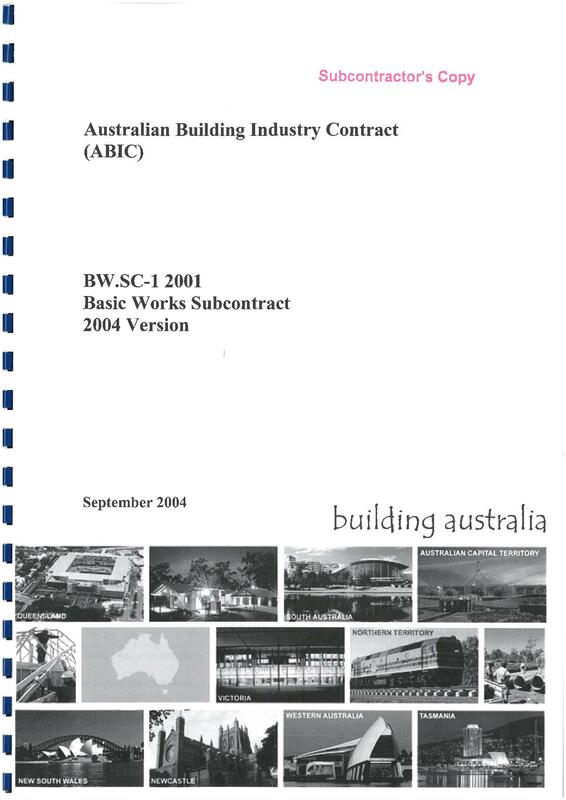 Comprehensive set of forms for use in administration of ABIC MW.SC-2008 Companion Subcontract to MW-2008. 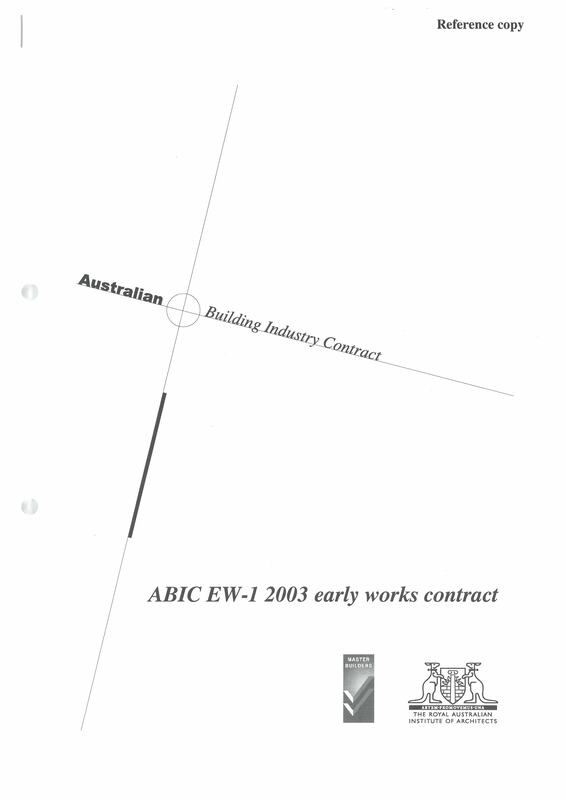 Companion subcontract for ABIC MW-2008 Major Works Contract. 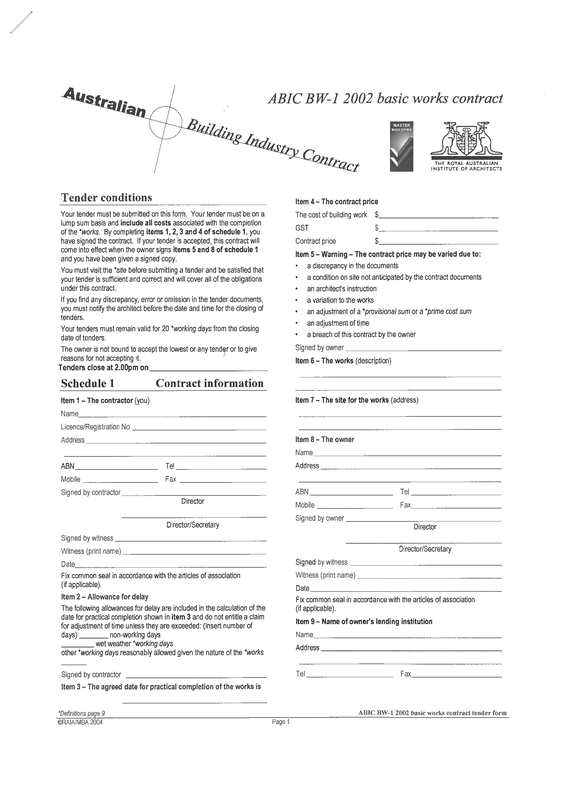 Sets out the obligations of subcontractors engaged by the builder to perform work on medium to large projects.